Sometimes the best way to prevent failure is to study it. This comprehensive guide to bearing failures outlines the many ways bearings can and do fail. With detailed imagery and explanations for causes and correction - this 9 page guide is a great workshop or desktop companion. 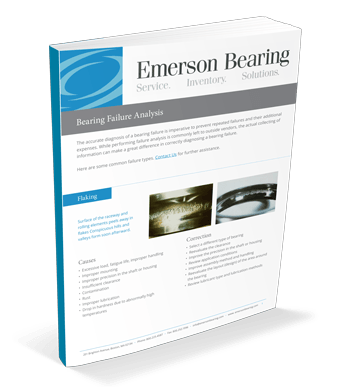 Fill out the form on the right to access our Bearing Failure Analysis guide.